Category Archives for "Urban Transit"
The casual resident or visitor to Ottawa will no doubt note the catenary now visible at several locations of the Ottawa Light Rail Transit system under construction. The photo to the left is from the access to Belfast Yard, the shops and maintenance facilities where actual rolling stock is being assembled. This location is closer to the Eastern section of the system. But if you happen to come into town along highway 174 from the East, you will also note, just before the merge and arrival of the St Laurent Shopping Center, the Blair Street station which is the Easternmost end of the 13.5-kilometer line. There you will also see overhead wiring installed and ready for test runs as rolling stock comes off assembly. While construction has been under way for more than two years now, the work was not highly visible to a casual observer, unless you were inconvenienced by down-town construction locations. But who can miss the poles and wires of the catenary system, a proud symbol of what we are about to get by the spring of 2018. While about 3.5 kilometers of the system will be underground, physical evidence of the trackage and electric lines will be seen prominently above gound close to Ottawa University, which will also have the last stop, coming from the East, before descending into the underground section of 3.5 kilometers housing the three underground stations of the system. The busy CN mainline between Bramalea (Halwest) and Georgetown (Silver) has long been a bottleneck for increasing GO and VIA service to Kitchener and points further west like Stratford and London. 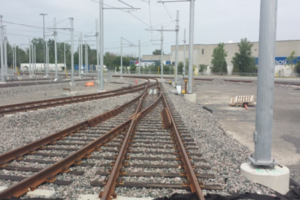 On June 14, Ontario announced that the province has secured an agreement-in-principle with CN that will allow GO Regional Express Rail to be built along the Kitchener GO corridor. The agreement-in-principle also begins the planning and technical analysis to build a new freight corridor that will allow CN to shift most of its freight traffic from the section of the Kitchener corridor it owns – namely between Bramalea and Georgetown – to the new corridor. This will free up capacity for more GO and VIA service. The province also announced funding to help build a multimodal transportation hub in downtown Kitchener and the extension of two morning and two afternoon peak train trips that currently run between Union Station and Georgetown to also serve Kitchener, Guelph and Acton. The Ontario-CN agreement is very interesting. 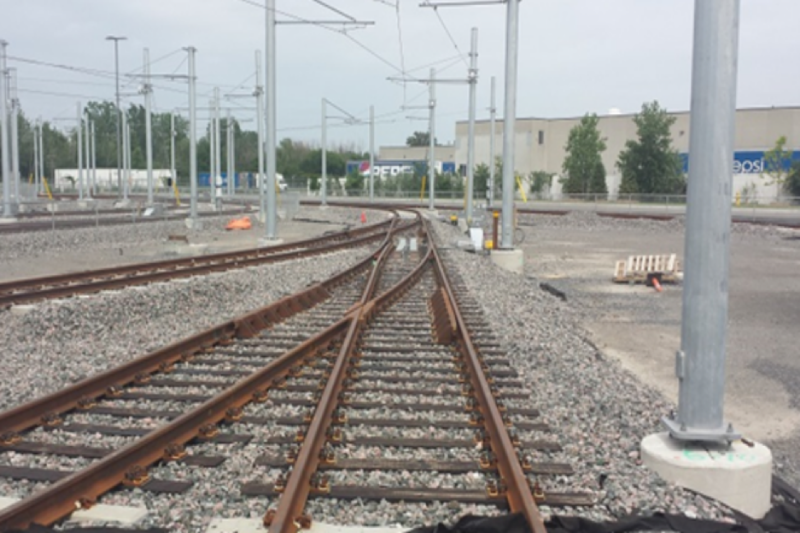 It comes on the heels of the “Missing Link” study prepared by 4 municipalities in 2015 to allow increased GO service on both the Kitchener and Milton lines. (See Ontario Report, November-December, 2015.) This agreement appears to be different, but time will tell. Ontario’s Climate Change Action Plan (CCAP) was released in June, 2016. TAO has been actively involved, both through the Move the GTHA collaborative and as an individual organization.